Over the last several years, there has been a great deal of debate about the outdated storm and waste-water infrastructure in Toronto, the GTA and across Canada. The Federation of Canadian Municipalities indicates, that as of 2014, the cost to repair all of Canada's aging infrastructure will exceed $123 billion - and will continue to increase by $2 billion each year. Locally, Toronto's population has grown exponentially and now accounts for 17% of Canada's 35 million residents. Statistics Canada data also notes this increase has resulted in a serious demand on the municipality's antiquated infrastructure resulting in over $200 million in water-related damages. Water dripping from your cold water pipes, on foundation walls or concrete floor can be caused from excess moisture. 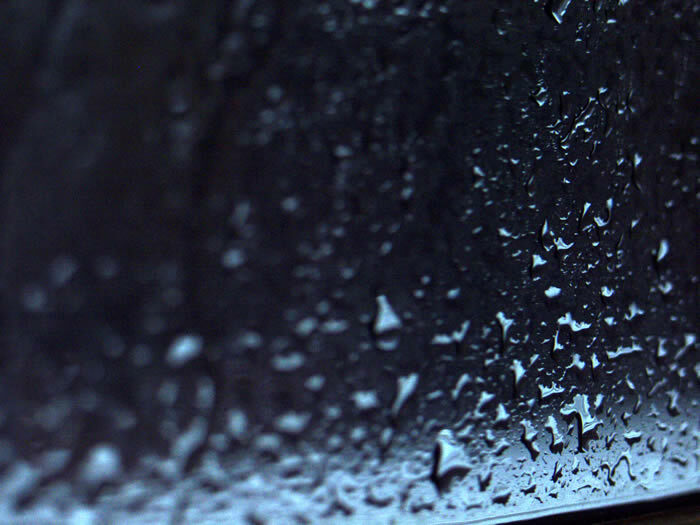 When the air hits the cold pipes or concrete, droplets form. Cover pipes with foam insulation and run a dehumidifier during humid seasons. Basement leaks commonly occur at the windows or window wells. Old, rotten windows with failing or non-existent caulking can let water trickle in. In addition, window wells that are installed to protect below-grade windows can be filled with debris and prevent water from draining properly. Repair or replace windows and clean out debris from window wells. Plastic covers can be installed to prevent additional debris from collecting there. 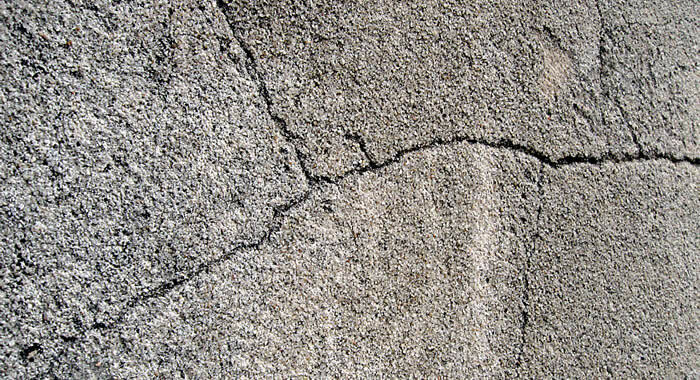 Small cracks (less than 1/8") are common and can be caused by settling. They may expand with freezing, thawing and hydrostatic pressure. Visible water leaking or moisture discoloration should be addressed. Remove any loose particles, insert plastic tubes, inject with polyurethane and cover entire area with fast-curing epoxy. This provides a tight, yet flexible seal and will resist further cracking. Concrete coatings, sealers and paints can also be used to provide additional waterproofing around the interior basement walls. Leaks from wall cracks over 1/2" wide, floor cracks and the cove joint area (small space between the floor and foundation) may indicate a serious problem. Soil erosion under or around your foundation can compromise the structure and should be evaluated by a professional waterproofing company. A Royal Work technician can determine the extent of the problem and install an interior drain tile system, if needed. This process involves chiseling a channel through the concrete floor around the perimeter of the basement. A PVC pipe and membrane are installed and connected to a sump pump. Porous gravel covers the pipe and the concrete floor is replaced. Now any water infiltration will be re-directed and pumped out safely. While you may not have a problem with your sump pump at the moment, you'll need to prepare for possible problems in case of a power outage or malfunctioning unit. A properly working sump pump is the most powerful defense in basement waterproofing. If your sump pump is more than five years old, you should consider replacing it. Most units are only about $200, and it's a project you can do yourself if you have certain knowledge and experience. The same goes for a battery back-up system - they are fairly inexpensive and can also be a DIY project. 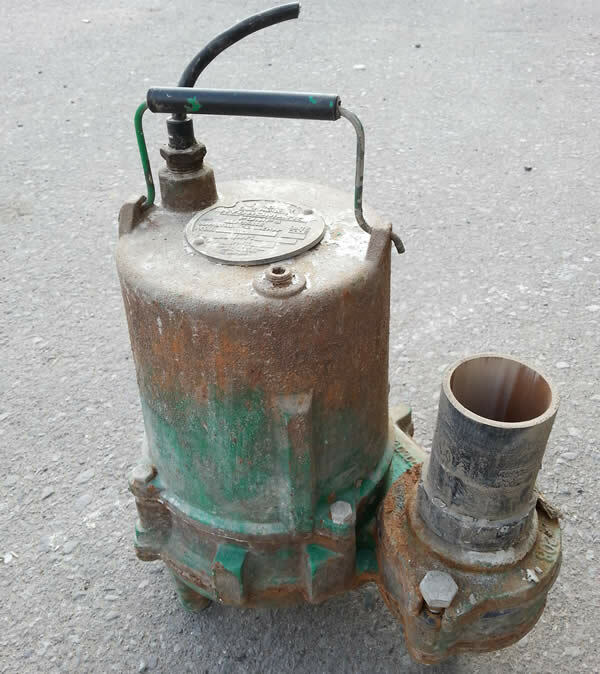 If you don't currently have a sump pump, Royal Work Corp. technicians can dig the pit, install the proper sized pump and connect the unit to your drain tile system. Unfortunately, there are a number of issues that can cause this system to break down. Perforated pipe is installed on the exterior or your home around the perimeter of the foundation (at footing level). It's main purpose is to carry excess ground water away from your home. If you have leaking at the bottom of the foundation, the tiles may be blocked with debris or broken. This is definitely a job for the professionals at Royal Work Corp. The technicians can investigate further with pipe camera to locate the problem area. If an obstruction is found, it might be able to be cleared with a trenchless pipe cleaning system called power jetting, or it may require a full excavation and replacement. Exposing a foundation wall is dangerous. Please don't attempt this work yourself. The University of Waterloo's Faculty of Environment has studied flooding issues across Canada and determined that "outdated storm and waste-water infrastructure has resulted in increased flood damage to homes." When heavy storms drop an overabundance of rain, the system is overwhelmed and toxic sewage can back up into your basement. Blockages caused by debris or tree roots can cause the same result, so you need to be prepared. Some insurance riders will cover the cost of clean-up and replacement or the City may be responsible for expenses if it was due to an inadequate main. Unfortunately, anything that comes into contact with sewage will be destroyed. Installation of a backwater valve between your floor drain and exit pipe will prevent further backups. The valve opens only one way and stops liquid from flowing back into the house. It is installed under the basement floor and will require the floor to be dug up, the main drain cut and the valve installed. It's also an expensive project, but the City of Toronto and surrounding communities of Brampton, Mississauga and Oakville all have subsidy and rebate programs in place to assist with the cost. Reimbursement is made if an authorized waterproofing company like Royal Work Corp. does the work. You may not think to look up when finding a leaky basement, but gutters and downspouts create a significant number of problems. Leaves, sticks and other debris often clog both areas, causing back-ups and rain water to spill over to the ground below. From there, all that water will run down the side of the house into the basement. 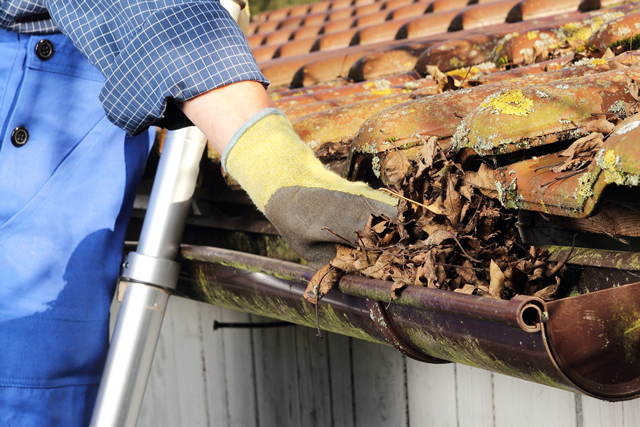 Inspect and clean out your gutters and downspouts annually. Make sure all downspouts drain away from the house and are disconnected from the storm sewer as required by Toronto law. 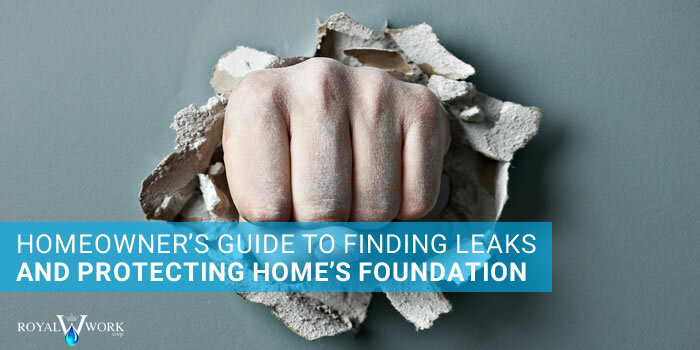 Leaks sometimes find their way in through overlooked issues such as maintaining the exterior grading slope of your home. Runoff will follow a path away from the house but only if the ground is sloped properly. 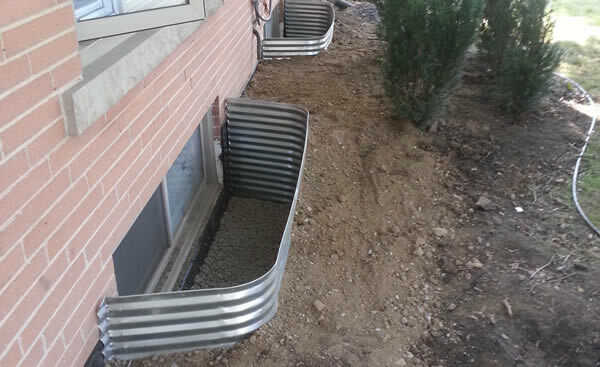 The grade may change from overflowing gutters, ground settling or the creation of flowerbeds. Make sure to adjust the slope of your yard away from your home. 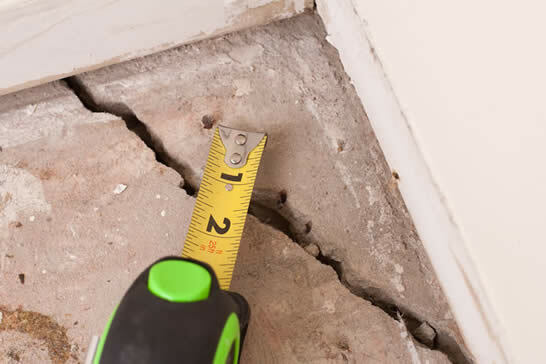 It's important to maintain a minimum of one foot for every 50 feet away from the foundation. This should be sufficient to reduce water seepage. Leaks in a basement bathroom or on the first level of your home can cause major problems if not addressed quickly. Many times a leak will go unnoticed for months as it's hidden behind tile or under flooring. Locate the leak by feeling the area around the tub or toilet. If the floor is spongy, it may have been leaking for a long time. If you're sure it's leaking behind the tile, cut a small hole in the drywall, shine a flashlight inside and turn the water on. If you see a lot of water, you'll need to do some repairs. Sometimes a simple re-caulking around the tub will help; other times you may need to remove tiles, make the necessary plumbing repairs and replace the tile. This can be an expensive project, but it will prevent more serious damage to the floor joists and ceilings below. By maintaining and repairing waterproofing issues today, you'll be saving potentially thousands of dollars on costly renovation work. Much of the work listed in this guide can be handled on your own. For those projects that require an expert, call Royal Work Corp. Waterproofing. We'll be happy to answer all your questions and provide a no-obligation estimate.